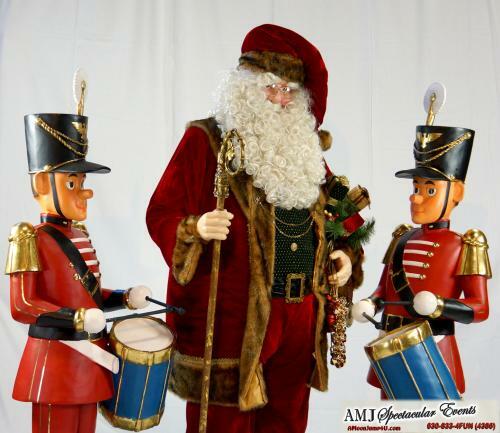 A life sized Santa statue is the perfect greeting for your holiday event! This Santa statue has impeccable detail from his classic red velvet outfit, rosey red cheeks, gold wire rimmed glasses, infamous snow white beard and of course, an armful of presents. Whether you are looking to gain excitement at an entryway, or use this Santa Claus statue as a show-stopping center of your display, you can't miss with this nostalgic Jolly Old Santa Claus. This Santa Statue will surely add to your decor and create a wonderful photo opportunity for your guests!